Together with county of Hawai‘i officials and representatives from the Kamehameha Schools, they envision a future for South Kona. This planning/visioning process was initiated at an event called La ‘Ike (Visioning Day) in October 2001 at Paleaku Gardens Peace Sanctuary. 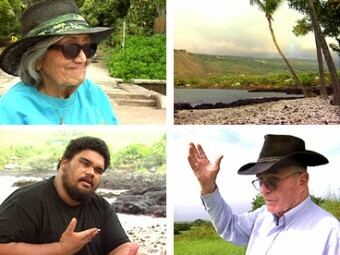 Produced by Nā Maka o ka ‘Āina for ‘Ahahui Kaiāulu ‘Imi I ka Pono No Kona Hema with a grant from the Ho‘oli Foundation.